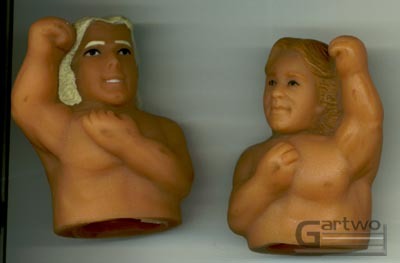 In 1985 Remco released these Thumbsters as part of their AWA line. 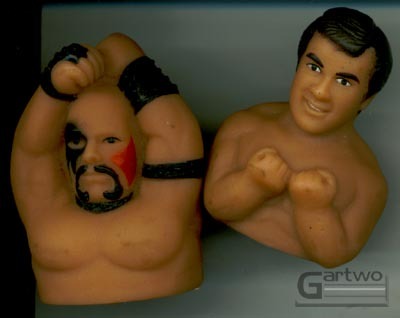 There are six different figures sold in three different 2-packs: The Road Warriors, Flair, Zybszko, Rick Martel, & Greg "My Dad Owns the Company" Gagne. 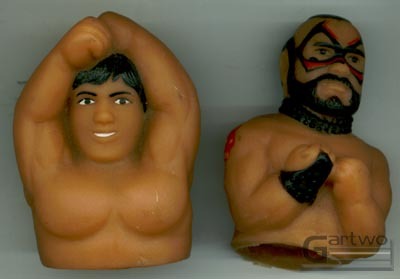 These thumb wrestlers can be hard to find, they are nowhere near as abundant as the WWF LJN Thumb Wrestlers that were released at the same time.